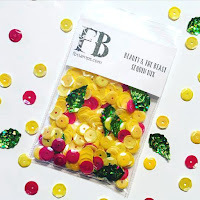 Today I have three fun projects to share with you featuring FB Stamps latest released stamp sets... but first let me tell you a little about the hop! 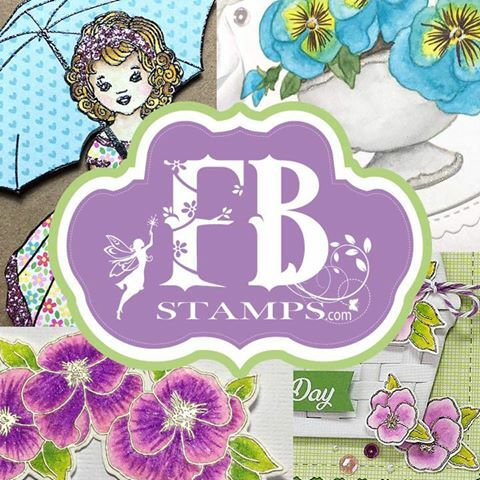 We are extremely excited to share with you an array of crafty projects by our talented Design Team featuring the NEW Fleurette Bloom Stamps - April Release. How to enter to win a prize? Thats it, and you will be entered to win! To win the grand prize you must leave a comment on each blog and subscribe to each blog. Scroll all the way down to see the DT the Line Up and inspiration. So without further adieu let's get started! 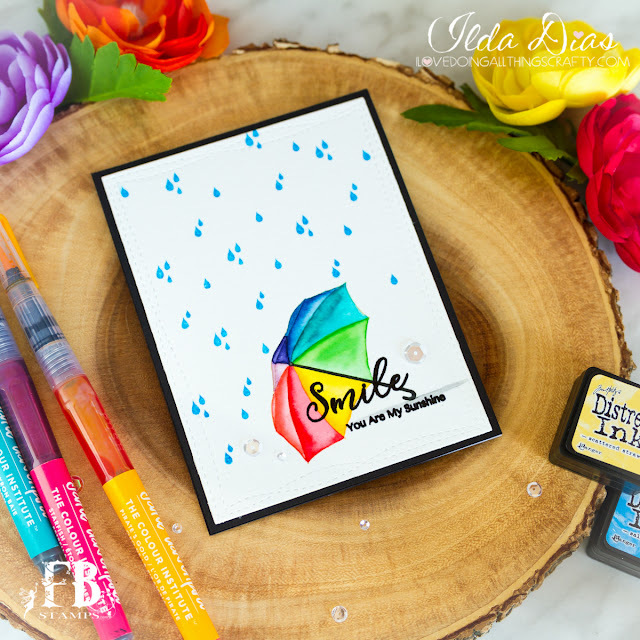 For my first card I created a hidden slider card from the new Rain or Shine Stamp set. 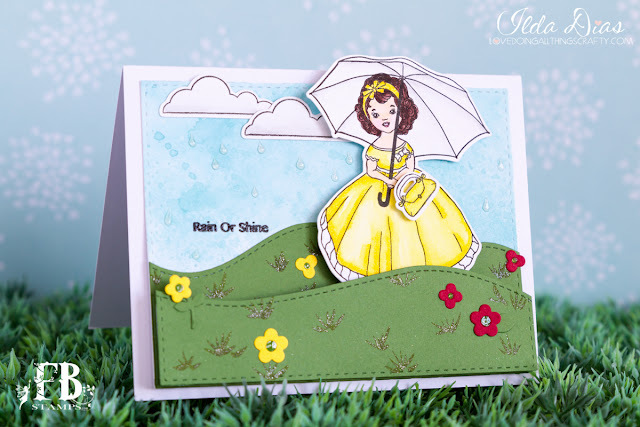 I loved building this little scene... for some reason this little girl makes me think of my Mother as a young girl walking along the flower fields in Portugal. Depending on where the little Girl is positioned you will see a different sentiment. For those of you that love visuals I have included a process video for you to watch. 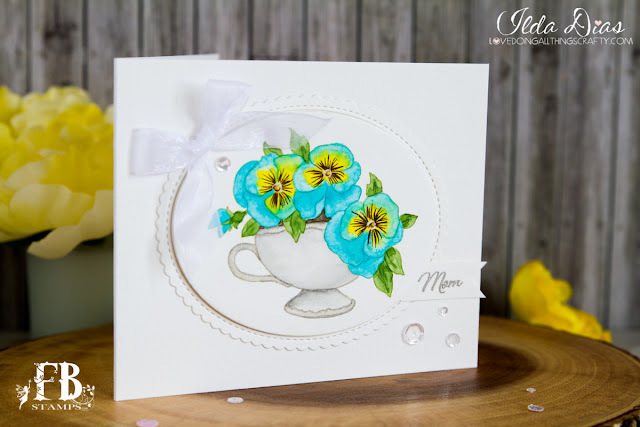 Now on to second card... Pansies and Tea! 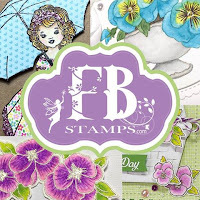 I think this Pansies Stamp set is perfect for making Mother's Day Cards. 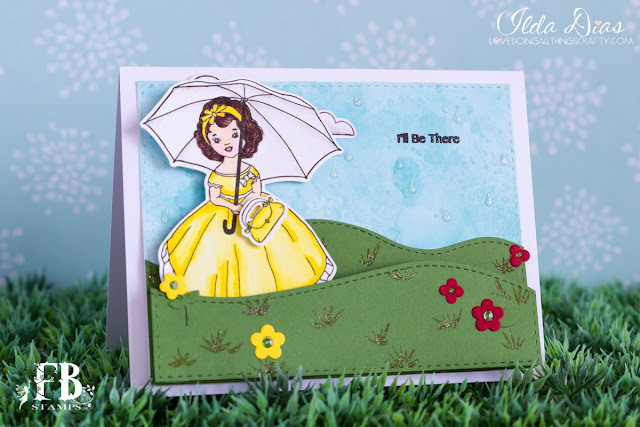 For this card I did some no line water coloring using Jane Davenport's Petite Palettes. 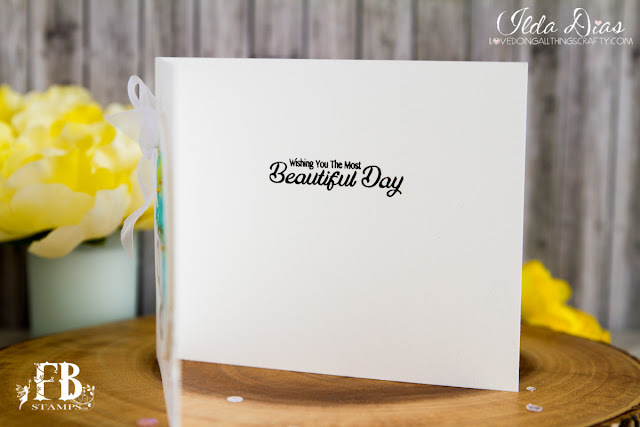 Here is the stamped sentiment on the inside. Again I have another process video to share with you all. And finally my third and last card... Umbrella Smile. Bright and cheerful, perfect for someone needing some love! Well that's it for me!!! I know that was a lot to go through... but I hope you were inspired 😊 Links to all the supplies I used are listed below this post. Next up is the very talented Cheryl! Ilda ← you are here! 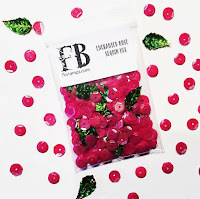 Be sure to go to each blog and comment & subscribe to enter to Win!